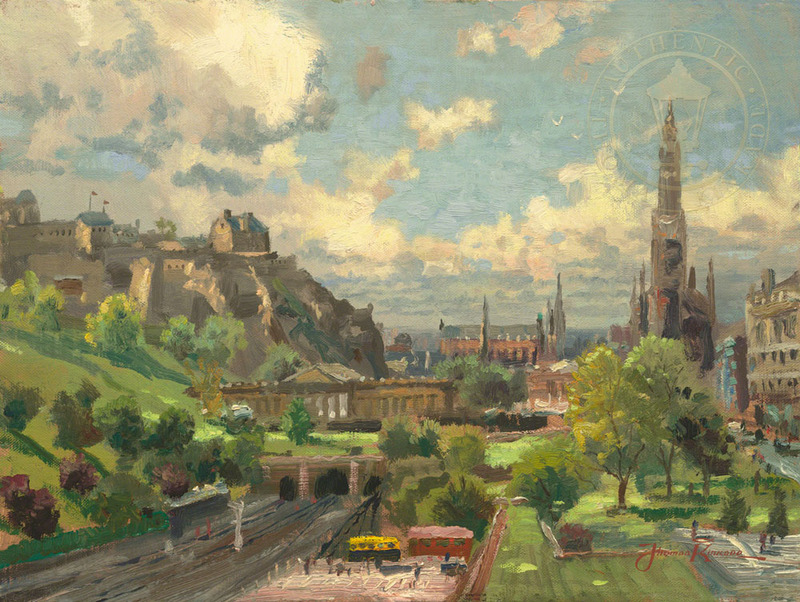 The decades-long love affair between the Kinkade family and the British Isles continues with Edinburgh, Scotland, my plein air portrayal of a city of almost magical charm. I've never had so strong a sense of the living Middle Ages as I did when I sat before my easel overlooking Edinburgh's famed Old Town. The towers and turrets of the magnificent castle and the spires of churches contrast with the horizontal sweep of colonnades along the royal mile. The architecture reflects and amplifies the grandeur of the rugged hillsides and the lush, sweeping parkway.